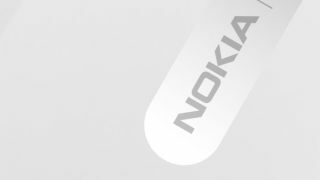 There have long been rumours suggested that the Finnish smartphone manufacturer could be working on a tablet and now am intriguing link has been found on Nokia's website. The tablet currently goes under the moniker Lumia 2520 and a search for this on Nokia's US site reportedly, until recently, offered up just one result - an FAQ defining what a tablet is. While the FAQ itself didn't name check the Lumia 2520, there was clearly something linking the name to the page. Adding more fuel to the fire is the fact Nokia has now "fixed" the peculiar search result, so if you go and try to generate the same thing you'll be out of luck. The Lumia 2520 tablet could well be announced at Nokia's Abu Dhabi event on October 22, where we expect to see the Nokia Lumia 1520 - which itself has seen more leaks. A few new snaps claiming to show the 6-inch, quad-core powered Lumia 1520 in the wild via Chinese site Coolxap. The leak didn't offer any further details as to the features of the smartphone, nor a Lumia 1520 release date, but TechRadar will be live at the Abu Dhabi event in a couple of weeks to bring you the news as it breaks.